The Internment of the Ethnic Japanese in WWII -- Military Justification? This page has disappeared from its original site and is temporarily displayed here. I didn't write it but the facts that I have checked are correct. It is better written that I could do and more sympathic than I am inclined to be. with occasional touch ups since then. In early WWII, about 50,000 Japanese citizens living near the American west coast and their 70,000 American born descendants, virtually all children and young adults, were forcibly removed from the area, most of them to internment or relocation camps. The vast majority of these incarcerated people had no reason to be deemed guilty, or even suspicious, beyond their ethnicity. Most were ultimately deemed "loyal" and many thousands allowed to leave to live away from the west coast during the war. It took several years for the US supreme court to order the whole group released, though they were set free before the war ended. Many, especially the old (most of the Japanese citizens were quite old), having lost nearly everything in the disruption and fearing war hostility outside, remained in the camps voluntarily until after the end of the war. The internment has become one of the most widely condemned actions in US history. This site is not hostile to Japanese Americans and in fact expresses admiration at how they came through the ordeal. It says that there were considerable military justifications for the internment, though it does not go so far as to conclude that these justifications were sufficient. It disagrees with most other sources not so much in the facts and details, but in its reasoning that there was any justification for the internment at all. You can read most sites on the internment, and you will learn about myriad ways in which the ethnic Japanese interned during most of WWII suffered. Maybe if you're lucky you'll learn the names of the camps and a few dates. From a point of view of avoiding having this sort of disaster happen again to anybody, you will have accomplished nothing. You can only contribute intelligently to this whole issue if you learn about how the decision to intern was made, and the perspective from which it was made, and the apparent motivations. That is the issue addressed by this site. Note there is a glossary available at the end: see Appendix 1: Terms. It is clear to me, at this point, that racism, or at least, recent national ancestry, played a role in the decision. The central figure in the decision to intern the ethnic Japanese, Army Gen. John Dewitt, responsible for defending the west coast from an anticipated invasion, looks to have had racial attitudes, and especially a frankness in expressing them, that never would been tolerated in an American General in the 1990's. The decision to intern was not his alone to make, but if any one person was responsible for the decision, it was he. Most of the books on the subject focus on whether racism or at least discrimination based on recent national ancestry, was part of the decision to intern the Japanese. Once it is established that it was, they seem to feel their work is done. In my mind, even showing that someone is downright racist doesn't prove that they're wrong. If that were true, all I would need to do to prove that the world is flat is find a racist who thought it was round. Hardly anything that I read wanted to discuss what the alleged military justifications were for the internment. Usually this whole angle is dismissed as ridiculous, or as having been addressed by a preponderance of other, unnamed sources. Had I been able to find much discussion at all of the military necessity issue, I would not have bothered to write and publicize this site. I have never seen a web site that discussed the military considerations in any detail and then concluded that it was not understandable for someone who was not racist to advocate the internment. Should the reader find such a site, please inform me of the URL. This essay does not discuss the nature of the experience of the internees. Material on this issue is very plentiful, and I felt there was no need for me to address it. Among the material describing the conditions, I found few complaints that they were actually inhumane. Things were austere, but adequate. Most complaints focus on the principle of the whole thing, and that's what I try to discuss in this essay. In general, the camps were so different from the camps of Nazi Germany that it is extremely misleading to refer to them as "concentration camps". Usually this material starts with the unstated assumption that there was no legitimate motivation for the whole thing, so every inconvenience, however minor, seems like a crime against humanity. This essay does not discuss the legal aspects in any detail, or the history of the politics of the release of the ethnic Japanese well before the end of the war. Internees who want to send me e-mail about their experiences, especially if they feel that something I said is inaccurate, are very welcome to contact me. I am eager to hear feedback. Compliments are certainly nice, but intelligent criticism I find more stimulating. Unfortunately, interesting feedback on this is exceedingly rare. Furthermore, if you find anything I said needlessly offensive, I am very eager to hear about it. My goal here is not to smear the ethnic Japanese or the American government or people, but to discuss the decision in a matter that is accurate and not unfair to anyone. And in some areas, like how much disloyalty there was among the ethnic Japanese, it's impossible to say anything without offending at somebody, and in those cases I am trying very hard to just stick to the truth. At this point, I have received more criticism from people supportive of the internment than from people against it. It is totally unfair to judge people as though they had all the knowledge that you do. If you want to understand that decision, you must examine how the world situation looked at the end of 1941. It is your task to decide whether the ethnic Japanese (that is, the 50,000 Japanese nationals, or the 70,000 Japanese-Americans, mostly the children of nationals, or, as it turned out, both) need to be interned. The primary purpose of this essay is to discuss the considerations going into this decision. Your duty, first and foremost, is to be ready for an unlikely but conceivable invasion of the American west coast from the Pacific. There is some debate over whether this was ever feasible, but most decision makers seemed to feel this concern is central. The US is very poorly armed at the start of WWII, so men and equipment are in extremely short supply. You have many hundreds of miles of sparsely populated coastline to defend, so that even if you weren't worried about the ethnic Japanese, you are not sure you could successfully repel an invasion before the enemy at least does great harm. The main battleships that were crucial to the defense of the west coast are at the bottom of Pearl Harbor. The US has 5 carriers surviving in the Pacific, but the Japanese fleet has 10 carriers available, and plenty of other ships, some of which can outgun any American battleship anywhere. The American military has a track record of nothing but humiliation and defeat in the Philippines, Pearl Harbor, and elsewhere. The Japanese military has an excellent track record of victory after victory, against the US and her other foes. How long those 5 carriers will last is anybody's guess. There is a strong feeling that the west coast is very vulnerable. Los Angeles is the hub of American aircraft production, and within easy range of a carrier-launched bombings, perhaps even in some cases naval artillery bombardment. Enormous efforts are made to put giant camouflage nets over these plants to make them hard to find, but it is clear that a modest espionage effort could direct such an attack to its target. There is reason to doubt that a sustained invasion across the entire Pacific is possible, especially when the US naval presence in that ocean has not been completely wiped out. But the Japanese have recently shown themselves capable of military feats not previously thought possible, such as their triumph at Singapore. It was a shock to you that they could clobber Pearl Harbor as well as they did, so completely and with such minimal losses of their own. You are hesitant to make confident assessments of what "they can't do" after that. Even as a general, your knowledge of what is going on is sketchy. Many false alarms are being sounded, many unconfirmed rumors are circulating. Importantly, you do not know who will win this war. You don't even know that we have broken the axis codes. In any reasonable person's mind, there is a very real risk that the Earth will be a completely fascist planet within 10 years. Reports of how the war is going in these early months give little support for confidence. It is widely believed as established fact in 1942 that sabotage and espionage by traitors sympathetic to the axis played a large role in axis victories all around the world, especially in Norway and France. It is not possible to send anyone to Norway or France to investigate these claims, those countries being held by the enemy. The initial military report on what happened at Pearl Harbor, which came out about six weeks after the attack, said that ethnic Japanese in Hawaii had aided and abetted in the attack. Many rumors are circulating on the mainland about horrible atrocities that ethnic Japanese had done in Hawaii. I will not repeat the details of most of these accounts because some readers will misunderstand and start repeating them like they were true. But bear in mind that decision makers will have heard these stories with no way to determine whether they were accurate. (Eventually, the military started making statements that there was no evidence of wrongdoing by Japanese-Americans at Pearl Harbor, but this didn't happen until after the decision to intern had been made in early March). Above all, there's so little time. If the Japanese will invade California, it could be within a couple of months. If internment is necessary, it will be a daunting task and require months of preparation. You just don't have long to sift through the rumors and hysteria, and make a careful, researched decision. The decision to intern was made about 10 weeks into the war, and most of the people making it, like John Dewitt and Franklin Roosevelt, had a lot of other things on their minds to deal with at the same time. Imagine something that happened in the news 10 weeks ago, and say you had to make a life and death decision about it right now. To be fair, let's assume that, like most US Generals at the time, you have never even met a Japanese American in your life. Your understanding of Japanese culture is nil. The war department has provided you with few "experts" on the Japanese-Americans, if any. Some intelligence people are examining the Japanese-American community, but it will obviously take them years to examine the thousands of Japanese American associations. Japanese translators who are not of Japanese ancestry are in exceedingly short supply. Furthermore, the military has many other pressing needs for them. Thus, understanding the Japanese-American community well enough to make a confident assessment of how many of them might be sufficiently disloyal to participate in acts of sabotage and espionage is not within your means. Some information is, nonetheless, available. At the beginning of the war, military intelligence had already been monitoring Japanese-American organizations. Some organizations were making aggressive statements about how Japanese everywhere should help with the wonderful empire that Japan was creating. Prior to Pearl Harbor, at least one major organization was raising money to fund the Japanese war effort. In 1940, an emperor worship ceremony in Sacramento attracted over 3000 participants. (The whole Japanese militaristic thing that started the war revolved around emperor worship). The expert opinion at the time is clearly saying that while ties to Japan among the ethnic Japanese were strong, most were not inclined to do anything harmful to the US. This does not establish that internment is unnecessary, since a very small number could do great harm. The Japanese-Americans in California are, unlike those in Hawaii, a very small, rural, insular population. In the nineties, everyone in California has known a couple of Japanese-Americans and knows they're OK. In California in 1942, few people have personally known any Japanese-Americans, making this group, in most people's eyes, mysterious and sinister, the problem probably being compounded by the extreme tactfulness and subtlety of the Japanese communication style which, while being unlikely to give offense, is not a good approach to inspiring the trust of Americans. This also puts them in a position, unlike the Hawaiians, of having few non-Japanese friends ready to stand up for them. Do not lose sight of the fact that the people we're talking about were not like modern Japanese-Americans. 50,000 of them, the issei, were born in Japan, raised in Japan, and are subjects of his imperial majesty. Of the young American born (nisei) most are immediate descendants of the issei, and could be expected to be much less completely assimilated than Japanese-Americans are in the nineties, and to be harboring much stronger cultural and linguistic ties to Japan. If you didn't intern the Japanese-Americans, one measure you could take would be to put them under considerable surveillance. Out of 120,000 Japanese-Americans, 50,000 were issei, that is born and raised in Japan and not possessing American citizenship. As enemy aliens, they have virtually no rights beyond the Geneva convention and can be arbitrarily confined and arbitrarily searched without warrant. (Prior to internment, frequent searches were carried out and this could probably have been kept up indefinitely. There was a big problem with issei living in the homes of their nisei children, since the children were citizens and could refuse the search). These searches can make it more difficult for them to stockpile weapons or explosives or radios and more difficult for them to travel to the invasion area on the big day. Curfews and severe travel restrictions on issei are also helpful. The problem is, if you do miss some individuals, including citizens, as seems inevitable, it would only take a few people to spy, and/or substantially disrupt communications and transportation and have a significant effect on a very crucial battle. One group, the kibei, are particularly disturbing. They are American born citizens who went back to Japan for education and consequently grew up in the militaristic period in Japan following 1931. Life in Japan was so different after the military took over that country in 1931 that returning kibei commonly complained of a cultural clash between themselves and their parents, who were raised in relatively peaceful times and were in the US during the militarism of the Japanese thirties. The kibei pose the combined threats of having the full rights of citizens, but young (and thus potentially unstable and unwise) yet being very likely to have strong sympathies with the Japanese Empire. Some analysts in the military feel very strongly that ethnic Japanese are situating themselves in such a way as to be near critical military sites. (I read a detailed description of where the ethnic Japanese had chosen to live in Santa Barbara County, whose geography is familiar to me, and it's a persuasive case to those who don't know any better). A half century later this is easily dismissed as coincidence, but in early 1942, it is very alarming. If you believe the Japanese are deliberately living in positions that would enable them to commit acts of sabotage, then not only must you believe they have treachery in mind, but you must take this as strong evidence that a Japanese invasion of the west coast is imminent. Military sources feel that Japanese submarine operations immediately off the west coast suggest that the submarines had knowledge of when American ships were sailing where, and the position of the submarine that shelled the coast north of Santa Barbara suggested that the Japanese seemed to know when a critical coastal gun would be out of operation for replacement. These incidents, easily dismissed as coincidence now, were taken as evidence that spies, presumably ethnic Japanese, were in touch with the submarines, probably by radio. (The evidence above is inconsistent with the story from other sources. There were a couple of agencies watching the airwaves, the military one, which was reporting suspicious activity, and a civilian one, which was insisting there was no evidence of such activity. The government put a lot of effort into fielding direction finders and so forth, and didn't catch anybody. According to DeWitt, that was because it was really hard to narrow down to a specific house that was the origin of transmissions. According to another source, the military team were horribly under qualified, and there really was no such activity to catch. Military sources indicated that the offending transmissions ceased upon internment, while other sources observed no change in traffic patterns. An ethnic Japanese was found to be in possession of many guns and a huge cache of ammunition. (Military accounts fail to tell you the poor shmuck owned a sporting goods store). Note that if you decide to intern the Japanese-Americans and the facts don't bear you out, then you harm about 120,000 people in such a way that most of them will probably be able to get over it. Posterity will condemn you personally as a bigot. If you decide not to intern the ethnic Japanese and the Japanese are then able to successfully invade the west coast taking advantage of complicity of local ethnic Japanese, millions of people will suffer enormously, and at least tens of thousands of deaths will occur, at least, and it could be the end of self-government for the American people, all because you had to be a Boy Scout. There is no middle ground in this decision. Asking the Japanese-Americans to move away from the coastal areas of California voluntarily is not workable. (It was tried, prior to internment. Those ethnic Japanese who did try to resettle met with such overwhelming community hostility wherever they went that most of the rest just decided to stay where they were.) If they are going to be evacuated from the potential battlefield, it will be to camps. Should We Have Done The Internment? It seems to me that, given the circumstances and the information available at the time (some of it wrong) it makes it very hard for me to say with complete confidence that a failure to intern the Japanese-Americans would not be putting California, and indeed the United States, in grave peril. It would be very difficult decision, either way, and we should thank our lucky stars that we, unlike John DeWitt and Franklin Roosevelt, didn't have to make it. Let me qualify that. I am personally not agreeable to any citizens' rights being so trampled on, even during a war, whether the reason is race, beliefs (including beliefs about your religion, about other people's religions, about race, or about how many angels can dance on the head of a pin, or even some sympathies with the enemy), or, as it usually was in this case with American internees, the national origins of one's parents. The main point of this essay is not to say that locking people up is a good thing, but to discuss whether there were any military considerations to at least partially justify the decision, which many now say over and over again had no military justification at all. It can be argued that there are certain things that a government should not do even to preserve itself, and locking up large numbers of clearly innocent citizens without charge certainly qualifies to be considered as such an act, even at the possible risk of allowing the western United States to be successfully invaded. Similarly, one can argue that rather than imprison the Maryland legislature to prevent their voting to secede from the Union, Abraham Lincoln should have just let Maryland, and possibly the whole American south, separate and continue with slavery. Difficult decisions. While I contend here that a substantial military justification existed, I do not offer a decision here about whether this justification, or any military justification, could support such measures. As for the Japanese nationals (that is, Japanese citizens), as Japanese born Japanese citizens, the main difference between them and enemy soldiers is that soldiers can be legally shot just for being captured out of uniform. Other than that, these people are like POW's, and their rights are few indeed. If you find yourself in an enemy country during an all out war, getting locked up is par for the course, in fact, if that's all that happens, you're doing well. If you are reasonably well cared for, which they were, you have nothing to complain about, except perhaps, in this case, the loss of property. It is very questionable in my mind whether any reparations or apology were appropriate for the nationals. I am not saying this as a vindication of how the decision was made. The way it was made is well documented and was fraught with ethnic intolerance and war hysteria. As I have said before, that does not establish that it was the wrong decision. I am not saying that, given the evidence we have now, we should conclude that many of the ethnic Japanese were up to something. There is not evidence to support this. My goal here is not to smear the name of the Japanese Americans, but to look at the decision from the perspective from which it was made, and honestly ask myself if I could have done any better. Things we know now indicate the vast majority of the ethnic Japanese community were not up to anything, and the Japanese government was making little effort, if any, to recruit them for anti-American activities. The lesson most people seem to draw from the whole episode, aside from the currently fashionable conclusion that white people are evil, is that we should never, ever, suspect any minority of ill-will or treachery. I say that is too much to ask. Right now, the US could not be much further from the possibility of being militarily invaded. But today, a well led group of 100 residents of average intelligence, education, and resourcefulness could, especially if they had leadership and financing from some foreign government, through acts of sabotage and terrorism, destroy enough infrastructure in the US to cause lapses in food distribution, availability of water, etc., sufficient to cause significant loss of life in an area. As the preeminent culture and power in the world, we are going to be the target of great envy and hatred. I will bet that within 20 years some group that most Americans have now never heard of will come to absolutely despise us and be a source of terrorism against us. Are we to let the fear of being called bigots intimidate us into blinding ourselves to real and potent threats? Had I known that we would win the war without an invasion of the west coast even being attempted, I would not have approved of more than the internment of individuals identified as dangerous. But the decision makers, having to plan for the worst, could not feel confident that that was how it would turn out. It is very ironic that the main thrust of the internment was taking place right at the time that the Japanese navy was losing carriers in the battle of Midway, without which they probably posed little threat to California. A lot of the internees lost a lot of property, but very very little was due to outright seizures. Most was due to having to go to the camps on fairly short notice, while most of one's close friends were being interned as well, leaving no one to care for one's belongings. With little time to make arrangements and few friends who would be remaining around who could be trusted, much property was abandoned or sold at a fraction of it's value. Many mortgages went unpaid and were foreclosed upon. Many businesses folded because it was so hard to find people to fill in for the interned proprietors, and some crops were left in the field. And many people, in desperation, turned to distant acquaintances to trust with the upkeep of their property, only to find that these caretakers were often dishonest or unreliable. Most people seem to believe that most of the property loss was as a result of deliberate confiscation. It is one of the most widespread fallacies about the internment. What I am saying here is so contrary to what most people have heard I will disrupt my flow with a source (most of my sources are on a separate page, see link above): Personal Justice Denied, the Report of the Commission on Wartime Relocation and Internment of Civlians, 1983. This is the government body that eventually decided to compensate the relocatees. Read the chapter titled Economic Loss, less than 20 pages long. It is a sad story of how a lot of good people lost everything. But the government siezed practically none of it, a few parked cars that were propably in somebody's way at some point. While Personal Justice Denied is clearly slanted a bit against the internment, it is excellent reading and I recommend it strongly. This chapter mentions that under a 1948 act, $37 million in compensation was paid to relocatees. Another thing that doesn't get brought up very often. Strictly speaking, no. If it had been, we would have locked up the many Chinese, Koreans and Filipinos living on the west coast at the time. That said, it would be ridiculous to say that racism played no role at all. There were racial overtones but there were other considerations also driving the decisions that were made. These other considerations are sufficient that it cannot be ruled out that had there been a similar population of whites in the same place at the same time with all other consideration being equal, cultural, linguistic, dual loyalties, citizenship wise, and in terms of the military situation, that this would have happened to them. The internment was primarily a case of discrimination by recent national ancestry. I say "recent" because most of the people interned were either Japanese born or had parents who were. The fact that the discrimination that occurred was not based on race, but by nationality and by recent national ancestry made it possible for an ethnic Japanese to escape harassment, from the government and from thugs in the street, by claiming to be Chinese. It was obvious this could happen and it was done. What's worse, discrimination by recent national ancestry or discrimination by race? Race would cover more people. It would really have been outlandish to have interned ethnic Chinese, who were probably more anti-Japanese than the average white at the time, considering what Japan was doing to China. I was with my cousin, a cop, when he busted an obvious drunk driver who was a minority and tried to make it a racial issue. Any unpleasant interaction between races is bound to become officially a racist issue, particularly in the '90's. The thing to do is look at the situation and see if the behavior makes any sense were it not for the racial element. Wartime hatred and fear of an enemy, or anyone associated with that enemy. I do not call these things racism, all can exist without any racial difference. But many do seize upon the opportunity to label them as racism, which is a shame -- calling someone racist usually terminates a conversation, and on bad terms at that, while if you break a problem down into other words, there is still hope for examination, illumination, debate, and persuasion. It is interesting that the definition of racism is very broad while people are trying to prove it is present, but once it is established that "racism" is a factor, next, it quickly becomes the only factor, and then, once that step is complete, the definition narrows enormously to mean a vicious, sadistic and overwhelming hatred of anyone of different ethnicity. Most of the coverage of John DeWitt, the man delegated this decision by his higher ups, including the president, and who the supreme court was loathe to second guess, is extremely hostile, so people have dredged up every racist thing he ever said in public, and there are many such things. Bear in mind that he uses many words that are taboo now, like "Jap", especially "Jap". To be fair to him, he did not live in times when people were willing to jump all over you for the use of these words, or especially if you used the word "race" in the wrong way. As he did not know that his utterances would be subjected to the linguistic minefield of the 90's, you have to be willing to tolerate his vocabulary and choice of how to phrase things if you are to ever understand his point of view. That said, I am not impressed with the man's racial attitudes, or the job he did at sizing up what level of threat was posed by the ethnic Japanese, and racial considerations probably did cloud his judgement, though from what I can tell, military considerations, however misguided, always drove his decision making. With such hostile coverage, you'd think posterity would have uncovered him saying something that indicated any motive other than an inept concern for national security. Interestingly, what if the government had interned 70,000 white Americans who were direct descendants of citizens of a country we were at war with? Would anybody still care? I don't think the subject would draw anywhere near as much attention as it does when race can be dragged into center stage. It would probably be all but forgotten like the abuses against the ethnic Germans in world war I. Mass imprisoning citizens without charge is a very questionable business, no matter who it happens to. If it happens again, it will be to somebody other than the ethnic Japanese. A failure to extract lessons other than race, race, race out of this episode would be tragic. This is all cultural conjecture here, based on things I've read about Japanese culture, heard about from friends who've read the language, and my own travels to the place. Firstly, how do people deal with loyalty when changing countries? I have heard a Nisei argue, and it may be true, that in Japanese culture, it made clear sense for them to be totally loyal to the US and the Americans didn't understand that. I take this with a grain of salt, but there may be truth to it. I recall an elite Nisei interpreter talking about confronting a whole group of Japanese soldiers in a cave, his job being to talk them into surrendering. They asked him what he, of Japanese descent, was doing in an American uniform. He replied with a single sentence from Japanese literature, and their immediate response was to bow as if to say "Sorry we brought it up". This demonstrates that to the Japanese, it was not a foregone to conclusion to assume that an ethnic Japanese born in the US would be loyal to the US, but if he was, it was extremely easy for him to avoid be labeled as a worthless traitor. If a white American born in Japan were to confront US troops wearing a Japanese uniform, I don't think he could have persuaded most of them that what he was doing was forgivable, let alone honorable, if he explained himself for an hour. There is evidence here that loyalties in Japanese culture work differently than in American culture. There were a lot of people saying collaborators with the Japanese were scum of the earth, but I don't think it was understood by the ethnic Japanese, even now, that there was an element in our culture that would, in the long term, be quite understanding of such persistent allegiances. To suspect the Japanese of dual loyalties was not to suspect them of low character, though you would phrase it that way to discourage collaboration, but rather to suspect them of things you yourself might do in the same position. Thus it would have been extremely helpful for the ethnic Japanese, if they could be relied upon not to do such acts, to explain to the government how their loyalties worked, how there wasn't going to be a problem. In any direct dealing DeWitt, without cultural training, would have had with ethnic Japanese, given that this was a recently immigrated (here about one generation, heads of families almost all foreign born), insular group that might have been far less assimilated than Japanese Americans today, there would have been a total misunderstanding of how to establish trust. In American society, trust is established by being exceptionally frank, spelling out your interests, and how your interests will be served by being loyal, what you stand to get out of it. You must let the other party know exactly where they stand. I suspect the Japanese approach, even among first generation American born, would have been to avoid discussing the touchy issues, to stress harmony, and to make major declarations of loyalty without giving any convincing reason why they would want to be loyal. A further problem is that obsequiousness is a disdained trait in American culture, while it is not in Japanese culture. In Japanese culture, loyalty to authorities, even to point of obsequiousness, is one of the highest virtues, while in American culture, obsequious people are not to be trusted or relied upon. Interestingly, a government official described the JACL, a very pro-American Japanese association containing many American born Japanese, as "pathetically obsequious". So in a situation where an American is trying to assess whether to trust some Japanese, he gets evasion on the thorny issues (those being the most important ones) combined with totally inappropriate and embarrassing obsequiousness. It would be difficult for a group to come across as less trustworthy than that. "There are going to be a lot of Japs," said DeWitt "who are going to say, 'Oh yes, we want to go, we're good Americans and we want to do everything you say,' but those are the fellows I suspect the most." Bendetsen agreed: "The ones who are giving you only lip service are the ones always to be suspected." While these attitudes of DeWitt's could thus be attributed more to personal experience more than race, other accounts love to attribute them to, you guessed it, racism, like everything else since the invention of the wheel. I repeat here, about this whole section is conjecture: I have no evidence that such a meeting between DeWitt or someone who worked for him with the ethnic Japanese ever did or did not take place. I hesitate to include this section in the site because it is so weakly supported, but I find the point about the Japanese communication style having an inherent weakness in terms of an ability to inspire trust in Americans so relevant to this situation where they wound up being distrusted that I think I would be in error not to mention this aspect. Going away from Gen. John DeWitt's decision, there is also the societal decision. At the beginning of the war, society had a decision to make. How much of a threat were the ethnic Japanese? Somehow, after a month or so, public debate turned sharply against the ethnic Japanese. Blatant racists (This is easy to discern from their statements because in 1942 racists openly admitted to being such and even mentioned it without being asked.) became very vocal. Many lies and distortions were propagated, by both the public and the military. Before long, a substantial and extremely motivated constituency was pushing very hard for internment, though many Californians still didn't feel it was necessary. How much influence did these racists have on public opinion? It is hard to tell. There were so many reasonable causes for concern, in addition to tabloids run amok, that it is hard at this point to say which had how much influence. Since most sources inappropriately dismiss the possibility of perceived military necessity, it is easy to overestimate the influence of unsavory influences. The influence of these racists on public opinion is probably played up in much of the literature, as though they were able to whip up an all encompassing hysteria, one should be reminded that public opinion in California at the time of internment was still substantially divided, and the portion in favor of internment was itself divided between interning Japanese citizens only, or dual citizens as well, or the lot. Also, much literature blasts at the newspapers, such as tabloids and the Los Angeles Times, who were flashing headlines about horrible things the "Japs" were up to. But the more reasonable sources also mention serious sources of information, such as the Roberts Report into the catastrophe at Pearl Harbor, which gave reason to believe that treachery had occurred that had played a role in the catastrophe there, which might be repeated in California were military activity to occur. DeWitt remarked that there was political pressure to intern the ethnic Japanese that was "not being instigated or developed by people who are not thinking but by the best people of California". He went on to say that the Roberts Report had been very influential this way. In my mind, public debate should ideally sift through the rumors and find the facts, letting all points of view be heard. Somehow, hopefully, the truth percolates up through the process. But this takes time, and time was not available. What could be done to prevent finding ourselves in a similar situation in the future? The modern approach to this is to say that no one is ever allowed to say anything bad about any minority group. That seems like an imperfect solution, to say the least, as it allows no possibility of making a rational assessment of a potential threat. Interestingly, once the internment happened, it was widely perceived as proof that the ethnic Japanese were up to something, public opinion being convinced that internment would not have taken place unless the government was sure about them, though it was clear that at the time none of the decision makers were sure about them at all, John DeWitt's whole position being that it was impossible to be sure about them. This public perception of the ethnic Japanese as dangerous made it harder to find homes for the internees outside the exclusion zone, and politically harder to end the exclusion. Many analysts believe the internment was a result of tolerating racist speech, an excess of free speech. But it may also have been the result of not tolerating unpopular speech. In war hysteria, everyone is bending over backward to appear patriotic, and at that time, saying anything good about "Japs" was the last way appear patriotic. Perhaps many people who were sympathetic to the ethnic Japanese were afraid to speak up and be seen as "traitors". Perhaps more speech, not less, would have resulted in better treatment of this unfortunate group. One piece of evidence of how little espionage the ethnic Japanese were conducting, of any form, is that the Japanese conducted their air strike on Pearl Harbor at a time when all the US carriers were out. Those carriers were their primary target, and at the main battles shortly after Pearl Harbor, such as Coral Sea and Midway, we fought mostly with those carriers. Everyone in a base and its surrounding community knows when a major ship like that, with thousands of sailors on it, comes and goes. It has a huge impact on local businesses, it's more important than the weather. A few ethnic Japanese prostitutes or barmaids, or a few of the many ethnic Japanese working at the base, or a few old men pretending to fish at the mouth of the harbor, or even a few adept "tourists" from Tokyo in Honolulu, we're talking maybe 3 or 4 spies, and the Japanese would have known the carriers were out, and maybe could have delayed the strike until they were back in port. Without those carriers, we may well have sued for peace after the Japanese easily took Midway, in other words, their failure to keep an eye on those carriers, which they could have done with the help of a very few ethnic Japanese Hawaiians, may have cost them the war. Is it realistic to assume that, had the Japanese invaded California, that they would have repeated this blunder and continued to fail to make use of available resources (such as any sympathetic ethnic Japanese) to do their homework right this time? One point that was made by one book was that the state of desperate, cruel hysteria in California would not have come about had it not been for the fact that we were losing at that point. During the first few months of the war, during which the decision to intern was made, we did not have our act together, war-wise, while everything the Japanese attempted was met with stunning success. Had we known that we were going to win the war without the mainland ever being significantly harmed, we probably never would have resorted to such inhumane measures. The only thing I ever seen about Japanese attempts to recruit was of a Japanese military officer who went to Honolulu posing as a tourist. Fresh off the boat, he did approach a few ethnic Japanese to try to recruit them, and got nowhere, finding they were far too loyal to the US to consider that (though not loyal enough to report him). Note that there is no reason to believe that this was the only attempt to recruit, it is just the only one I learned of. This was a very half-hearted attempt. If I went to a local bar and started trying to recruit total strangers to commit terrorist acts for a fictional white supremacist organization, I don't think I'd get very far either. In fact, I'll bet someone would turn me in. Does this mean there is no threat to this nation right now of white supremacist terrorism? If the Japanese had been more inclined to pursue this sort of dirty business (and at that time we had no way of knowing they were not), they could have approached better targets, like gung-ho Kibei, or old issei of known sentiments through hard-line ethnic organizations. Americans had no reliable way of knowing whether they were doing this, and would have been fools not to plan for the worst. Why weren't the Hawaiian ethnic Japanese interned? There are a number of reasons. First and foremost, Gen. John Dewitt had no jurisdiction over Hawaii. In my opinion, had he had such jurisdiction, internment would almost definitely have taken place there. Emmons, the general placed in charge of Hawaii to replace the disgraced Short, fought hard against any suggestion of widespread internment. There is some doubt in my mind whether DeWitt would have allowed the public statement to be made that the Hawaiian Japanese community was without fault in the disaster at Pearl Harbor. Emmons, on the other hand, quickly announced after arriving that he felt there had been no sabotage during or after Pearl Harbor, with the exception of one soul on a remote tiny island who had aided a downed pilot. He made a public pledge of fair treatment of Hawaiian Japanese, so long as they continued to show loyalty. DeWitt was an extreme personality one way, and the internment on the west coast either would not have occurred, or would have occurred to a lesser extent, with a more average general. Emmons was extreme the other way, and internment in Hawaii would have occurred to a greater extent had a more average personality been in his place. Internment in Hawaii would have been more difficult. The ethnic Japanese accounted for over 30% of the Hawaiian population, so interning them all would have resulted in serious disruption. There weren't enough ships available to cart them all to the mainland, all of Hawaii being a potential battlefield and thus unsuitable terrain for camps. In the mainland, the internment was aimed not only at locking people up, but getting them east, far away from the West Coast and any potential hostilities. At one point Roosevelt's cabinet insisted, over Emmons objections, on all Japanese citizens being interned on one of the smaller islands, but the lack of shipping rendered this impossible. The war department ordered Emmons to "get rid of all Japanese civilians employed by the army". Emmons resisted, saying it was important these jobs get done and there were no replacements available. The war department canceled the order. The ethnic Japanese in Hawaii, unlike those in California, had permeated through all facets of society and were a familiar part of life for everyone there. Thus, the public in Hawaii was substantially less agreeable to internment than their Californian counterparts. Given what was known at the time, it is not clear that the non-internment in Hawaii was a sound decision, rather than a reckless act of a nation that cherishes individual liberties. Had the Japanese been making concerted efforts to recruit, and had they won the battle of Midway and gone on to invade another, bigger Hawaiian island (as was probably their plan), things might have gone badly. There was talk of excluding Japanese from Oahu. This isn't as bad as it sounds. An ethnic Japanese excluded from Oahu would be taken to another Hawaiian island and restored to freedom their, where Japanese were so familiar that they would be well understood, even sympathized with. It would not have to involve locking anyone up. There was a minor internment in Hawaii, of over 3000 people individually identified by the government as dangerous, including many American citizens. These people were shipped to the mainland and put in the internment camps there. The criteria for locking them up were very superficial, for example most of these "dangerous" people had no more reason to be suspected other than being, for example, Buddhist priests or other community leaders. We did not know it at the time, but Hawaii was in grave danger of being invaded. The Japanese had been contemplating an invasion of Hawaii in the aftermath of the Pearl Harbor strike, and dropped the idea only a couple of months before December 7. For the next six months, the Japanese navy was screaming for support for an invasion of Hawaii, culminating in the Midway invasion fleet, which had designs on islands past Midway, possibly the whole chain. Had the Japanese managed to occupy any of the islands, there is no reason to believe that they wouldn't have been welcomed by a substantial portion of the local Japanese community, the way they were by the Japanese community in Davao, in the former US territory of the Philippines. In this context, collaboration with the Japanese may have even been rampant. Then, with the islands either brokered back in a peace treaty (probably the main motive in the Japanese grab at Hawaii) or seized back militarily by the Americans, there would have been a lot of awful, divisive feelings, with many charges of fifth column activity to help the invaders, whether justified or not. Had Emmons' hesitation to intern resulted in a reduced defensive capability resulting in any major island being taken, however briefly, the harm done to all American ethnic Japanese by any of them publicity affording any collaboration would have been far worse than internment would have been. In general, it is much more remarkable that we did not intern all the ethnic Japanese in Hawaii, which was very much a central theater of that war in the early months, than it is remarkable that so many of the ethnic Japanese in California got interned. Why Weren't the German and Italian Americans Interned? One thing that many people ask is, why weren't Italian Americans and German Americans interned too? Some would go so far as to claim that this contrast invalidates any conceivable military justification for the internment. In my research I was motivated mostly to find out what the case for the military necessity of the internment was. At first I didn't address the issue of interning the German and Italian Americans in my research because I thought it was self evident, but in my research on the situation with the Japanese, I did pick up a little bit. Since so many people, even intelligent people, seriously raise this issue, I will state the obvious. Firstly, German and Italian nationals were not left alone, and in fact many got locked up. When the war began, the white enemy aliens were subject to the same sort of interrogation and arbitrary searches that Japanese nationals received. Initial plans for internment called for the internment of all ethnic Japanese, along with German and Italian nationals living on the west coast. Gen. John Dewitt was all for it. It was not possible, because the proportion of American citizens with some German blood is huge, possibly a majority. It was not possible, because disruption caused by such a massive undertaking would have horribly undermined the war effort in both manpower and morale, probably costing us the war. Ethnic Germans have been around in such numbers for so long, that it would be extremely difficult to track down who had German blood. For that matter, one might have to draw the line at 1/4 German blood, or something like that, which would be getting ridiculous, or at least very difficult to administrate. Because the ethnic Japanese were such a small and recently arrived (about one generation) group, it was much easier to identify who was and was not in the group. Everyone knew that the vast majority of ethnic Germans were solidly anti Nazi to the point of being ready to fight Germany. Interrogators in the west were reporting that the consensus among ethnic Japanese, by contrast, was a great reluctance to hurt either the US or Japan. During the war, Germany, and especially Italy, never posed a credible invasion threat against the US. While there was German sub activity off the east coast and reportedly a few quiet landings by sub crews of no military significance, it was clear a significant landing that would take and hold territory was not possible without naval surface superiority and air superiority. Neither the Germans nor the Italians had any aircraft carriers, and in fact, both countries were barely able to send any surface ships very far into the Atlantic without losing them to the British Royal Navy. Hitler was not able to extend clear air and naval superiority across the English Channel, let alone the Atlantic. Had such an invasion threat from those powers been looming, as the threat of Japanese invasion of the west coast was perceived when the decision to intern was made, then no doubt German and Italian nationals would have suffered worse than they in fact did. German Americans were much better assimilated than west coast Japanese Americans. Usually speaking little German beyond their own last names, which they usually mispronounced, misspelled, or even Anglicized beyond recognition, the ethnic Germans were known to, and trusted by, most Americans. West coast ethnic Japanese at that time were mostly a rural, insular group, known to and thus understood and trusted by few, and obviously possessing much stronger cultural and linguistic ties to Japan. I do remember reading that Italian nationals in northern California, particularly Sacramento, were well situated with many friends who would have lobbied against their internment. It is sometimes said that the ethnic Japanese being racially identifiable was central. They weren't racially identifiable! Any ethnic Japanese could fool most non-Asians by claiming to be Chinese, especially if he adopted a fake name. This was done sometimes. Race alone was nowhere near sufficient as an identification method. One thing about the internment is that it was really a relocation, an evacuation. I only use the term "internment" so much because that's the word people use now, and I get more hits. But the whole idea was to get people away from the west coast. An innocent Japanese American living next door to his ethnic German counterparts in Pennsylvania, or most places east of California, for that matter, was allowed to stay there unaffected by the internment. Those ethnic Japanese who were able to migrate in time out of zones designated for their exclusion were not interned. The focus of the whole idea was that the west coast was a highly sensitive and poorly defended place, and that people had to be "excluded" from it, and if they couldn't leave on their own, it would have to be to camps. I have heard claims word of mouth about enclaves of Nazi sympathizers among ethnic Germans in the eastern United States. Since the focus of my research was about the west coast and the ethnic Japanese, I don't know how many of these characters there were or how they were handled except that many foreign nationals the FBI had been keeping an eye on were rounded up at the outset of hostilities, some even before the Germans declared war on us. Since mass internment of ethnic Germans, including German-Americans, was not possible, it is silly to say that these groups should have experienced it to the same level the ethnic Japanese did. A big factor also was that the ethnic Japanese in California were an isolated and unknown group, even to most Californians, let alone many of the internment decision makers. FDR dismissed the Italians as "a bunch of opera singers" -- that is, he knew enough of them that he was not very worried about the group. Germans in the US were so numerous they must have been quite familiar to him. FDR discouraged the spread of Californian internment fever to other parts of the country and to other ethnic groups. But the Japanese in California were an unknown group with a strange, very different and poorly understood culture, leaving FDR, with little time on his hands, to ultimately authorize widespread internment, thus delegating the whole decision of how much internment there would be to the military, and ultimately to the "man on the scene", Gen. John DeWitt. Note that early on, FDR was contemplating the internment of all German nationals. At 600,000 people, this would have meant incarcerating 5 times as many people as were involved in the Japanese situation. FDR was worried about the Germans, which he would not have been had his motives for the internment being strictly racial. Had the German and Italian nationals on the west coast been mass interned, it would have removed much of the potential to distort this whole thing into a strictly racial issue. Without that, the uproar out of this outrageous treatment of so many people would be much less, and the issues less talked about, and less remembered. Unfortunately, as it worked out, many seem to feel the racial considerations are the only relevant considerations in this issue, so if this sort of thing comes up again in a non-racial context, if someone plans to treat people who aren't in a racial minority group this way, people will fail to make the connection and apply the lessons to be learned from 1942. Sort of like saying the only problem with the Nazis was that they were anti-Semitic, and look around you, many PC people are acting like Nazis, but since they're not anti-Semitic, they fail to see the parallels. Nearly every reason the Hawaiian Japanese weren't interned applies tenfold to the German Americans, and the German Americans have the added bonuses of not being near a potential battle zone, and of not being remotely suspected of sympathies with anyone who posed an invasion threat. One thing you have to remember in the nineties is that while if the government now faced the very sad reality of possibly needing to intern some ethnic groups, they could not afford to evaluate each group individually, making decisions separately from one another. That could come out looking racist, as the WWII internment does, even if the decision is reasonable. Nowadays, we would be willing to inconvenience innocent people, and make a decision that is less militarily appropriate, in order to achieve a politically acceptable racial mix. In world war II, we made several independent decisions by independent leaders, driven by mostly military considerations, and got a result that was racially lopsided and inconsistent. For appearances sake, we should have just arbitrarily locked up a bunch of innocent American born Germans, about 70,000 of them. But that's nineties thinking, not forties thinking. I am not claiming that racism did not play a role in the decision to intern the Japanese and not the whites. I find it hard to believe any person could make such a decision, either way, without the slightest hint of racism. Even now, and we've been beating ourselves up over racism for 50 years. That said, to claim there was equally sound military justification to intern the ethnic Germans as there was to intern the ethnic Japanese is ludicrous. The internment of the ethnic Japanese in the US was not an isolated incident. It was the norm for the time. The Japanese interned all the civilian whites they found when they conquered the Philippines. The British interned German nationals. They had an interesting problem in that refugees from the Nazi government were confined in the same space as ardent Nazis. Australia, too, interned German nationals. If there were any Japanese in Australia, it would amaze me if they were not also interned, though the numbers would have been tiny. I do not have data on internments in the Soviet Union. They had a long tradition of shipping people to Siberia at the drop of a hat, so it would surprise me if no distrusted ethnicities got manhandled in the war. Furthermore, many Ukranians, formerly Soviet citizens, did take up arms with the Germans against Stalin, so the Soviets could not afford the American '90's style approach of assuming everyone was loyal until they proved themselves otherwise. One interesting note was that, in some ways, public behavior toward enemy aliens during WWII was much improved over WWI. There had evidently been problems with hysterical mobs attacking German "spies" during the first world war. It was a priority to public officials to keep this from happening again in WWII. Part of the strategy for this was that if people saw the government taking bold measures against such agents, the mobs would be less likely to take things into their own hands. This goal of the government was mostly achieved. Most of the acts of murder against Japanese-Americans that I read about were perpetrated by Filipinos who were understandably enraged by what the Japanese military was doing to their home. An important tenant of political correctness is that no one is allowed to question anyone else's loyalty. Even after a foreign-born naturalized American citizen helped plant a bomb in the World Trade Center, intended to destroy both towers and thus kill many people, there is an enormous reluctance to discuss the possibility that any citizen, indeed anyone within our borders for any reason, might harbor other loyalties. One person I talked to recently argued that anyone who chooses to live here must like the place and that any further investigation into their loyalties, even during wartime, would be therefore inappropriate and unjustified. This naivete, which I believe arose out of the dearth of public debate on the issue, makes it difficult for modern Americans to comment intelligently on the internment, since the whole thing revolves around dual loyalties issues. If I were a military commander concerned about any group in that position, and someone under me said "They live here, so they must like it here, so they're loyal, so that settles it. ", I would no longer put that person in any role where their judgment mattered. Trust, in and of itself, is not and should not be a constitutional right. Certainly, the ethnic Japanese who were interned had many rights encroached upon, but trust was not one of them. No one has a right to be trusted, not even minorities. I have seen people close to me straddle nationalities several times. They have fascinating things to say, but it's all very personal, very touchy, very subtle and complex. If you ask them about it and they choose to confide in you, they can hardly begin to do justice to all their feelings in several hours of conversation. In this context, asking people to sum up these feelings in a simple yes or no answer is an outrage, a request for the impossible, a violation. It's like a child being asked which parent they will go with after a divorce. But like with the child, sometimes these painful questions need to be asked. The ethnic Japanese on the west coast were a recently arrived group, in that 40%, including nearly all heads of household, were foreign born and did not even have American citizenship, and most of the rest were their immediate children, most of them still minors. Almost none of the Japanese born had ever been given the chance to assume US citizenship. Some would argue that this was wrong and we should therefore have considered them as reliable as US citizens, which is hogwash. The only country in the world where they had a reliable right to live was in Japan, and that could be expected to affect their loyalties. Many countries, including Japan today, do not make citizenship available to any resident who wants it, many, including Japan today, base this decision partly or wholly on ethnicity. American immigration policy was and still is very generous compared to most of the world, affording citizenship even then, for example, to anyone born for any reason within our borders for any reason, a generosity not shared by many other countries today, including Japan. In the past we have exercised our right by international law to pick and choose who we will take and from where, a common practice around the world in those times and now. If we are to be so burdened by guilt over this political incorrectness that we are not to be allowed to consider enemy aliens to be anything less than 100% patriotic to the US, we may not be able to survive as a society and our lofty principles will be washed away. If a white American couple emigrated to Japan, it would be difficult to impossible for them to assume Japanese citizenship. That's today. If they had a child there, it would not receive Japanese citizenship. Thus, the "horribly racist" American immigration policies toward the Japanese in the '20's to '40's are far more generous than the immigration policies of many countries, including Japan, toward Americans today. Many sources like to claim that though there were over a quarter million ethnic Japanese in the country during the war, none were ever known to collaborate with the enemy. This is untrue. The clearest case I have found was when a Japanese plane, after Pearl Harbor, crashed at Niihua island, near Kauai, and was aided by a Japanese American, a US citizen, named Harada. Harada threatened the lives of innocent Hawaiians who were just figuring out that a war was even going on. The only reason Harada was not convicted of treason was that he shot himself to death prior to being apprehended. Note that very, very few civilians, especially ethnic Japanese, ever found themselves face to face with the enemy during that war. And even then, treason occurred. Had an invasion of California been attempted, or especially had the Midway invasion succeeded, followed by attempts on major Hawaiian islands, this incident suggests that treasonous acts might have been commonplace. It also casts severe doubt on the notion that ethnic Japanese, citizen or not, "must have liked it here" and hence could be relied upon to reject any requests the Japanese government might make of them for help. This incident was covered in the Roberts report, which was available to and very much read by the people making the decision to intern. Many sources claim the Roberts report was in error about these claims, though it was taken by most to be true at the time of the decision to intern. It is not remarkable if any dual loyalties existed within that group at that time. It is not remarkable that the government didn't trust them. It is remarkable how loyal they as a group turned out to be. It was clear that internment wasn't going to have the most positive effect on the loyalty of the internees. Duh. In fact, it was realized that just interning some, like just the Issei and their young children, would probably have a big negative impact on the loyalty of the Americans, being their close relatives, usually their children. This played a role in the decision to exclude the lot. Reports from experts doing interrogations said that most of the ethnic Japanese were "passively loyal", that is, basically loyal to the US, but were not willing to do anything to hurt Japan. When you're trying to win a war, that's not enough loyalty. John DeWitt chose to exclude them all without asking them where they stood, and thus spared them the trauma of declaring loyalties. He maintained to the end, that determination of disloyalty was not feasible and made some intelligent arguments in favor of this doctrine. Once the internees were out of his hands, their new custodians, the War Relocation Authority, in a dramatic and controversial change of policy, started trying to determine who was loyal and who was not, so the loyal ones could be freed from the camps and resettled away from the Pacific coast as soon as possible. The WRA had been against the idea of guarded camps at the beginning, but generally could not solicit the cooperation of state and local authorities unless they agreed to fence and guard the camps. In the war climate of the time, it was hard enough to persuade states and communities to accept for resettlement ethnic Japanese who the WRA could vouch for as being certified loyal in some way. Persuading them to accept ethnic Japanese who hadn't even promised not to hurt anybody was out of the question. 27 (for male Americans): "Are you willing to serve in the armed forces of the United States on combat duty, wherever ordered?" 27. Women and issei were asked if they would serve the military in a noncombatant capacity, for example as WAC's or nurses. 28. (everybody) "Will you swear unqualified allegiance to the United States of America and faithfully defend the United States from any or all attack by foreign or domestic forces, and forswear any form of allegiance or obedience to the Japanese emperor, and any other foreign government, power or organization?" While 87% of those asked replied "yes, yes", 20% of Nisei males, ie those liable to be drafted for combat duty, replied otherwise. This was 4,600 "no-no boys", compared to the 2,355 relocatees who wound up serving in the military. (Note that that 2,355 does not include the many Nisei from parts of the country outside the exclusion zone -- a full 33,000 Nisei served in war, massively dwarfing the number of no-no boys). Various other litmus tests were performed. One reader told me her grandfather, a Japanese national, was deemed disloyal because he would not step on a picture of the emperor. To Japanese nationals, these questions were particularly disturbing. As they did not have American citizenship, if they forswore their allegiance to Japan, they would be stateless. They would have no right to be anywhere. On the other hand, a civilian national of a hostile power can demand nothing more than confinement for the duration, with adequate provision for their physical needs. If they want to avoid confinement and walk the streets free, it is the prerogative of the host country to make them answer some hard questions, make them make some commitments, before trusting them with that freedom. An enemy alien has few rights beyond that of a POW. I read an interesting account of there being old issei in Hawaii, though they had evidently done no sabotage or espionage, who couldn't accept the news of Japan's defeat. Con men capitalized on this, selling them worthless money from the Japanese Empire. Many took quite awhile to be convinced, in some cases needing to visit Japan and see the occupation for themselves. We should not condemn these people for having these feelings -- they were old, Japanese born Japanese citizens, and, unlike the Californians, they had never been compelled to forswear allegiance to Japan. We should expect some of them to have felt this way. Were the ethnic Japanese spying? It's impossible to disprove something like that, there is always the possibility of some plot existing that we don't know about. It's like trying to prove there are no UFO's. I have read that the Japanese were spying on Hawaii though submarine periscopes and with over flights of sub launched planes. If they had had a decent spy network, they probably would not have had to resort to these risky, expensive, and not very effective approaches. On a skeptical note, I would love to hear more about these efforts -- I don't see how a little sub-launched pontoon plane could have survived in the skies over Pearl Harbor, especially once radar had been perfected and deployed. On the subject of Japanese estimates of Nisei loyalties: Some, like John DeWitt, predicted that their loyalty to their ethnicity would ultimately prevail. But numerous observations were made in the literature that the Japanese didn't trust the Nisei very much, and there was even speculation in Japan that many Nisei had already been Americanized beyond hope of recovery. For all the refusals to sign loyalty oaths, and all the renunciations of citizenship, explanations other than genuine dual loyalties issues have been tendered. Many, many Nisei were able to convince postwar courts, one at a time, that they had been coerced by fellow internees into renunciation and thus reclaim their citizenship. Accounts of coercion in the camps, particularly by the pro Japanese, are common. 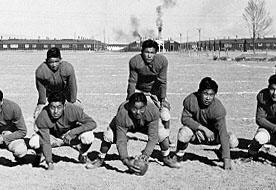 And when Tule Lake, the biggest camp, and the one most infamous for unrest and disloyalty, was converted from a lower security camp for relocatees of unknown loyalty, into a higher security camp for people who refused to declare loyalty to the US, many residents declared themselves disloyal to avoid having to move elsewhere. This was discussed in a couple of respectable sources, but I still have trouble buying it. By declaring oneself disloyal, one was letting go of any right one had to live in the US. One was kissing goodbye to any hope of getting out of the camps early. One was choosing a life in a high stress, riot prone, high security camp over life in camps of declared loyal residents, which could be expected to be more peaceful. One could be guaranteeing repatriation to Japan, by force if necessary. To subject oneself to all those blows just to avoid the inconvenience of moving from one camp to another, when by most accounts one didn't even have much to carry, one would have to be stupid and lazy, one would had to have lost every remnant of Japanese discipline, honor, and self-respect in a single generation to have made such a decision. To make such a decision because of physical coercion I can understand. To make such a decision because one has dual loyalties I can even respect and sympathize with. But because they didn't want to move? No way. I have too much respect for this group to believe that. My suspicion is that these widely reported explanations are excuses and lies, to try to rationalize the myth that there were no legitimate dual loyalties concerns, as part of the scheme to paint the internment as having no justification whatsoever, and to perpetuate the ethic that no one within our borders, regardless of citizenship, should ever have their loyalties questioned. It is interesting that so much attention is given to excuses for those who failed to pledge loyalty, however lame, while it is very hard to find any politically incorrect coverage of any misgivings and second thoughts that we can reasonably expect to have been held by the vast majority who answered "yes, yes". There is an parallel here. An ethnic Japanese in 1942 who says "I love America! God bless George Washington!" has a credibility problem. He has enormous incentive to say that, enormous disincentive to say otherwise. Similarly, a white American in 1998 who says "I like black people! It wouldn't bother me in the least if my daughter married one!" has a very similar credibility problem. It is ironic that many who condemn American whites for having difficulty determining the "loyalty" of ethnic Japanese give whites no reliable way to prove their "loyalty" to racial tolerance and be done with all the accusations. Where an ethnic Japanese was living with the constant and inescapable suspicion of dual loyalties for a few years, slowly fading after the war, American whites have lived with the constant and inescapable suspicion of bigotry for several decades, this suspicion not fading at all, in fact getting worse if anything, regardless of civil liberties advances and obvious increases in racial tolerance and integration over the years. There is every reason to believe that the more compliant whites get with the politically correct agenda, the more racist they will be perceived as being. The biggest indication, prior to the internment, of the remarkable loyalty the ethnic Japanese turned out to have, unexpected by many, was the fact that less than 20% of the American born had Japanese as well as American citizenship. All it would have taken to get that citizenship was a trip by their parents, Japanese citizens, to the nearest Japanese consulate soon after birth, which for most of them wouldn't have been that hard within California. A failure to register a kid for Japanese citizenship could leave that kid without the alternative of living in Japan. Why were the parents making this choice? I don't know. But in John DeWitt's shoes, I would have thought long and hard about that, which I suspect he didn't. It was the clearest indication available to him that this group had intended for a long time to be here for keeps. It is interesting that I have never seen any anti-internment source make this highly relevant point in their own favor. The reason is obvious: they are too busy saying we should never be allowed to discuss loyalties to ever look into the facts long enough to say anything intelligent on the subject. I find the decision of 87% of the internees to forswear allegiance to the Emperor and Japanese government very impressive. To go back to Japan after doing that would be difficult. And many among those 87% were issei, with no US citizenship and hence no clear right to live anywhere but Japan. Also, this decision was made in 1942, really at the low point for the whole group, long before Japan's impending defeat was evident to most. But of course, this demonstration of loyalty was not available at the time of the decision to intern. The performance of the 442nd is extolled a lot. While valiant and impressive and spectacular and necessary and invaluable in rehabilitating the image of the Japanese Americans during and after the war, I find it less convincing than the above 2 indications -- the real question, militarily, regarding internment, is not how do the best 2% from the camps perform, but how many of the worst of the whole group might be willing to engage in acts of sabotage or espionage. Nonetheless, the performance of the 442nd was very much an example of somebody doing the right thing at the right time, with no guarantee that their sacrifice and heroism, however great, would be given due recognition by the press, by the military, or most importantly, by the American public. This is one of many issues I have not covered yet since it regards things that were unknown at the time of the decision to intern, and could not be taken into account by DeWitt or Roosevelt. DeWitt said things about the loyalty to one's "race" (it seems probable that he was talking about the Japanese sub-race as a race, as many people talked in the '40's, as opposed to the Asian race as we use the term in the '90's) being deeply ingrained in the Japanese people, even when born in the US. Let's rearrange that statement from the '40's, when there weren't armies of thought policemen ready to jump on you for such a poor choice of words, so it sounds a little better to our now oh-so-sensitive, '90's ears: The PC'ers would have us believe that the US in the '40's was a living hell for all minorities before enlightened liberal racial policies (which no one is now allowed to question) made things better. If that is the case, can we blame this general for doubting that any American racial minority in their right mind that had as respectable a place to go to as Japan where they would look like everybody else, would ever develop reliable loyalties to the US? One big issue was that prior to world war II, the prevalent thinking was that large military expenditures somehow made war more likely. There was a lot of anti-militarist thinking in the world. If you look at the history of Europe in the years prior to WWII, it was a tragic case of the prevalence of simplistic pacifist thinking, and its complete failure not only to prevent war, but to even prepare for it well. The reluctance of everyone to stand up to Hitler was so great that he was able to do an arms buildup that totally violated existing arms limitations and get the Rhineland, Austria, and both the German and slavic parts of Czechoslovakia with barely a shot fired. Holland and Denmark pursued a neutrality they couldn't make stick for a week once the Germans felt like invading. Belgian neutrality meant they never did practice maneuvers with the French or British, so when the Germans rolled in, coordination of opposition was poor, helping the Blitzkrieg that much more. Germany respected Swedish and Swiss neutrality, so long as the Swedish mines and the Swiss banks were helping the Nazi war machine. France bet nearly everything on a purely defensive weapon, the Maginot line, that, being a defensive weapon, would pose no threat to Germany, so expensive the French didn't have enough mobile resources to deal with the Germans when they went around it, and whose nature ruled out any possibility of a French offensive while Germany was sacking Poland, and that just sat there while Hitler took his sweet time getting ready to strike exactly where and when he wanted to. Good bye France. In keeping with this mood, the Americans were isolationist, disinclined to get into any foreign scraps or create large standing armies. War was such an unpopular concept that FDR, who evidently was keeping it to himself how much he wanted us in that war, would avoid contact with anyone who risked being tainted as a "warmonger". In those times, that kind of stain would be poison, similar to being called a "racist" today. Furthermore, our reluctance to get involved in the Nazi war must have helped feed Japanese perceptions of the US as a pathetic spiritual weakling, a giant without will who could be easily be convinced to accept a humiliating defeat rather than fight a protracted and painful war. This thinking was central in their decision to attack us. We were seriously underarmed for a country our size, and for such hazardous times. We had not gone to the trouble and expense to make Pearl Harbor or the Philippines less vulnerable to air assault, and so lost most of the major battleships of our Pacific fleet, along with the Philippines and several other Pacific possessions. Had that fleet still been afloat and patrolling the water between Tokyo and Los Angeles, I don't think it's a giant leap to expect that California would not have seemed so vulnerable, and America would have been less likely to be desperate enough to resort to such unsavory tactics as imprisoning their own citizens based on ethnicity. Thus, pacifist thinking of the allied powers was key to how the allies allowed the Nazis to do so well in the early war, and in getting the Japanese to think they could get away with Pearl Harbor, and in our being so poorly prepared, and so underarmed. Had these things not occurred, there probably would have been no internment. Let's list a number of things that were not known to most of the people making the decision to intern, at the time of the decision. The US would win the war without any harm to the mainland. They didn't know that any more than we knew how easy the Gulf War would be, or who would win the last superbowl. They didn't know. The claims made in the early military report about ethnic Japanese complicity in the Pearl Harbor disaster were eventually shown to be false. Most Americans did not know anything about Japanese culture. Reports of the level of fascist "fifth column" treachery by French and Norwegian civilians sympathetic to the Nazis were greatly exaggerated. That Hitler would not finish off Russia (at the end of 1941 his troops got within 10 kilometers of Moscow), then turn around and polish off Britain before we could get in the way. As it worked out, the Soviets rallied behind Stalin, their despised dictator, for an amazing comeback, and drove the Germans from Moscow to Berlin and then some, consuming 60 percent of Nazi resources in the process. That's right, we and the Brits did about 40 percent of the job. But in 1941, it looked like we might have to do that other 60 percent of the task ourselves, indeed, at the time of executive order 9066, that comeback was just started. Soviet factories in the path of the Nazis (basically most of them) had to be relocated east of the Ural mountains, and set up there -- it would not have been clear at the time of internment how well this was going to work out. Word has it this worked pretty well. Many non-Russian Soviets welcomed Hitler, figuring he couldn't be as bad as Stalin. Many even joined the German armies to fight Stalin and Russia. Had Hitler conquered Russia, he might have been able to deploy those troops, along with most of the German and eastern European divisions he had used to conquer the eastern front, to face us at the Atlantic shores. Also note that the Hitler we defeated was always plagued by a crippling oil shortage. The million troops he lost at Stalingrad were on their way to take the Russian oilfields. A Hitler with those oilfields would have been a Hitler with a full tank, something we thankfully never faced. Thus, had Hitler's Russian campaign fared better, our amphibious assault on Europe, wherever we chose to do it this time, would have been much, much tougher, even if Hitler hadn't taken Britain. How loyal to the US many of the Japanese Americans were, as shown by their exemplary military service in the 442nd in Europe and as interpreters in the Pacific, and by the landslide decision of internees to choose allegiance to the US over that to Japan. How well it was possible for Japanese Americans to eventually integrate into American society. That the US would develop a major secret weapon (the atom bomb) and the Axis wouldn't. Note that this intelligence coup did not mean we knew all the enemy's intentions, like whether they had any plans to invade California. We had Ultra and it did not tip us off about Pearl Harbor, the invasion of the Philippines, or the massive German surprise offensive at the Battle of the Bulge. That Hitler, tremendously effective and successful up to about the time of the internment, would soon deteriorate into an incompetent manager, greatly underdelegating and mismanaging the Germans in retreat, making it easier to defeat him. That the decision makers of the internment, obsessed with not losing the war, would be judged 50 years later by people obsessed with not getting labeled as racist. Some of the distortions the military fed the public about the Japanese Americans in the early part of the war were so great that a class action defamation of character suit by the ethnic Japanese community against the military or against individuals in it, probably including Gen. John Dewitt, might have been considered. Should the military be held accountable for lies? Definitely not -- misinformation of the enemy through the press is much too valuable a tactic during wartime to give up. But the lies and distortions given to the public about the Japanese-Americans were obviously not intended to fool the enemy, but to influence American popular opinion in favor of internment. It is a strong belief of mine that military manipulation of debate through censorship and deceit is justified only in order to confuse enemies. Military manipulation of American popular opinion through these means toward other ends should generally be recognized as having no place in a healthy democratic society, as it undermines the public's ability to make accurately informed decisions. The internment is just one example of this. Is it a "lie" to tell the public that you found a Japanese in possession of "contraband" when in fact he had a flashlight, an item forbidden at that time for Japanese nationals to possess? There were many such half-truths perpetrated at the time that probably could not be taken issue with as items of slander or libel. The US Military, along with US whites, have been taken to task for "racism" during the internment, when in fact the discrimination was more based on nationality than race. Either way, I am more offended by the willingness of both bodies to perpetrate lies and distortions during this time. Condemning racists as such in those days would have been ineffective, they were not ashamed of being racist, feeling their racism was a rational and justifiable attitude, perhaps even patriotic during a war. But few people take kindly to being publicly exposed as liars. Perhaps it would have helped if the Japanese-American community had set up some sort of anti-defamation league to investigate press statements and bring lies and half-truths to the attention of the public. This could have helped give the public and even the military a more reasonable perspective on the hysteria that was taking over public opinion. It could also have instilled in people, especially the military, some hesitation from making misleading statements to the press. As it was then, and as it still is, unless they are testifying under oath, the military does not seem to be accountable for misleading the public. The JACL might have tried to serve in this role, but it may have been beyond their resources. But if we became a society where lies are not forgotten, and where liars know they will be held accountable after the frenzy has passed, we would be a wiser, stronger, saner and more just society. I normally don't like to nit-pick over words in general, there's far too much of that going on nowadays, so you can use what term you want and I'll think twice about jumping on you. "Japanese-Americans" implies citizenship, if not US birth. But the fact is that about 40% of the ethnic Japanese interned were not Japanese-Americans, but issei, citizens of a very dangerous enemy nation. And everything gives the impression that most of the 60% who were American born were in fact minors or very young adults, children of the issei who were better off with their parents in the camps than as orphans outside. Indeed, I would love to see, but did not find, statistics on what percentage of the Japanese Americans were old enough that they wouldn't have chosen to stick with their folks and live with them in the camps. To be fair to the issei, they had been legally denied the right to apply for US citizenship. I did not see anything on how many would have exercised such an opportunity. Judging from the fact that 10,000 of their children had been sent back to Japan for education, probably quite a few felt being a Japanese citizen was a pretty cool thing (not to say they weren't right). I had a friend who tried to get Canadian citizenship and they wouldn't take him. In my mind, he's still American, and if he's like most people, that will affect his loyalties. To say that we are not allowed to regard people who have been denied citizenship as aliens, even when they remain citizens of a hostile power, is lunacy. It is not clear at all that, had those 40% issei been American born, being fluent English speakers who were well assimilated, that the whole internment would have taken place at all. It's more accurate and lot less misleading to say "The Internment of the Ethnic Japanese", just like it's more accurate and less potentially confusing to say "Native American" instead of "Indian". The description "Enemy Aliens and Their American Born Children" is also accurate, but a little too nasty sounding for general use. If you searched for "Japanese-American" you'll find this page. It is more important to conform to everyone else's vocabulary and communicate than to adhere to one's own narrow definitions and fail to understand or be understood, as is happening a lot in these politically correct times. But I think the popularity of this inaccurate phrasing of the event is a sign of a pervasive misunderstanding of what actually happened, making it sound like the interned had been here for many generations and harbored few ties to Japan. In a similar vein, many, particularly apologists for the internment, make a distinction between "internment" and "relocation" that most of the literature does not observe. Webster's describes an "internee" as "a person interned as a prisoner of war or an enemy alien". Thus, describing the event as an "internment" is, strictly speaking, wrong, since most of the recipients of this handling were not prisoners of war or enemy aliens. So "relocation" or "evacuation" were better terms for what happened, especially since ethnic Japanese outside the sensitive area were left alone. I have chosen to conform to the prevailing vocabulary of the literature, right or wrong. I may change this position sometime and overhaul the site to use the words "relocation" and "evacuation" more and "internment" less. "We Knew There Would Be No Invasion"
Some of the other pages are saying we knew that there would be no attack of the west coast. In the cases I found it, it was done with no sources to back it up, and no provision for me to contact the authors and discuss it with them, and no explanation for how we figured this out with sufficient certainty not to be concerned about the whole west coast of the United States. I never saw this brought up in my reading on the internment. Everyone seemed to be very worried about the possibility of invasion. Considering the length of the coastline to defend, where the attacker could focus on the weakest spot, it was pretty scary. Gen. John DeWitt seemed to consider the west coast a battlefield from the start. On December 7, 1941, he announced that a Japanese air raid was taking place in San Francisco. On December 9, he said that 34 Japanese ships were between San Francisco and Los Angeles. On December 11, he said the main Japanese fleet was 164 miles off San Francisco. On December 13 he announced that an attack on Los Angeles was "imminent". He made quite a fool of himself with these false alarms, and it is not the attitude you would expect of someone who was sure there would be no invasion. The submarine activity off the coast, including an unsuccessful shelling of the shore, gave people reason to feel less than safe and removed from the conflict. Much of our aircraft production was in Los Angeles, within a few miles of the shore. Extensive efforts were made to camouflage plants so an air-based attack might have trouble finding them. Radar was still very experimental, so advance warning in the event of an incoming air raid would be very unreliable. In Hirabayashi v. United States, the supreme court mentioned the issue of possible invasion of the west coast as a central rationale for the internment 15 times, not including the footnotes. This document also cites how the justices believed that specific past Axis victories demonstrated the effectiveness of espionage and sabotage by people sympathetic to the enemy. One site said that "it was known that Japan did not plan any attack on the United States.". For one thing, when they attacked Pearl Harbor, the Philippines, Guam, all strikes coordinated within hours of each other, are you saying this was all just a spontaneous, unplanned thing? Or, more likely, you mean the American mainland. Still, this is very hard to believe. To know they have a plan, all we have to see is that plan. But to know they don't, we would have to have access to all their plans, which we definitely did not. We had Ultra, but even with that, we had to play tricks to figure out the destination of the Midway fleet, and a key decision of that battle was whether we should consider that information reliable. Even with Ultra, we didn't have any warning of Pearl Harbor, or the Philippines, or Hitler's massive surprise offensive at the Battle of the Bulge. If we had that much access to Japanese plans, or managed to recruit some Japanese admiral who had access to all their plans as a spy (highly, highly, highly unlikely), and then regard any such source with certainty sufficient to bet the war on, that would be such a major intelligence coup, and it would have been declassified by now, and I think we would have heard all about it. For another thing, US intelligence in the Pacific was a bitter bureaucratic war between the "Hypo" group, primarily code breakers, headed by Joe Rochefort, and the "NEGAT" group back in Washington, also known as OP-20-G, the principle players of which being Captain Joseph R. Redman and his brother, Commander John "Jack" R. Redman. The Hypo group figured out from intercepts that the June 1942 target of practically the whole Japanese Combined Fleet was Midway. This wasn't easy: we couldn't decrypt everything, the Japanese had the good sense not to say anything on the airwaves unless they had to, not even in code, and on top of the code they used code words, such as "AF" for Midway. The Hypo group had to go through some Rube Goldberg schemes to be confident what "AF" was, and not everybody was convinced. The NEGAT group didn't buy the Midway theory, and suggested other theories. At the last minute they were saying the target of the fleet was really the west coast. In what may have been his most important decision of the war, Admiral Nimitz chose to believe the Hypo group, and when the Japanese fleet showed up to mount a surprise attack on Midway, he was waiting for them. What this shows is that even at very high levels of military decision making, people were still talking seriously about an invasion, or at least a raid, on the west coast. 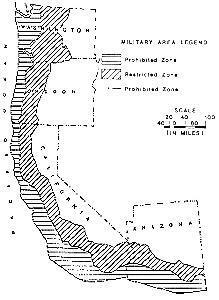 I have verified this from 3 sources, and it shows the military had not at all eliminated the possibility, even 6 months into the war, of the US west coast becoming some form of major battlefield. Bear in mind also, that even in a raid, spies ashore could do a lot to alert the invaders as to where airfields, aircraft, and anti-aircraft guns were located, and they could plant radio beacons to help bombers navigate at night. To be fair, the people suggesting the attack would be on the west coast were changing their story a lot, while the Hypo group had been confident about Midway for a long time. The NEGAT group had been strongly suggesting AF was the South Pacific, specifically New Caledonia and Fiji, they had suggested Panama, and the Aleutians. Everybody was wondering if it might be Johnson Island, close to Midway. Rear Admiral Lawton, in his book, describes the NEGAT people, particularly the Redmans, as incompetent, bureaucratic, deceitful and self-serving. I never saw him say anything good about them. Bear in mind the NEGAT group provides a good picture of the thinking of high level people who were trying to figure out what was going on without access to the highly, highly secret information about our codebreaking progress. Most of the people making the decision to intern were in this catagory. If the US military had "known" that there would be no Japanese attacks on the west coast, these intelligence people would have been among the first to be aware of it. The idea of the US landing on the Japanese main islands was probably a ridiculous notion to the Japanese at the beginning of the war, but by the time the war ended, it was about to happen. It thus would have been difficult to rule out a Japanese attack across a similar expanse of the Pacific. Saying "it was known that Japan did not plan any attack on the [continental] United States." is such a counterintuitive and outrageous statement that it really should not be taken seriously, especially in the absence of sources or an explanation of how we got to know this. If this statement could be supported, and that this information was known to FDR, the relevant generals, and the supreme court, it would completely conflict with a large body of information., and some explanations would be in order. It is easy to say that an invasion was not feasible, especially with hindsight. If they conquered anything less than the whole US, they'd be stuck with a long border to defend. But they had done amazing things before, it would have been easy to dismiss before the '30's that less than 100 million Japanese could conquer and hold Korea and several hundred million Chinese, along with Vietnam, but why mention Vietnam? They're such an easy little country to conquer and war is such a predictable and inevitable thing. It is easy to believe that some military analysts, possibly most or all of them, were saying an invasion was impossible. I did not find this in my reading, but it is not hard to believe. It is also easy to understand why people might not have had much confidence in these estimates -- our military had been soundly humiliated in Hawaii and the Philippines, and had yet to score any victories, and Japanese submarines were conducting operations off the California coast as the discussion was being carried out. Not having beaten the Japanese anywhere yet, and having been soundly humiliated at Pearl Harbor and the Philippines, we had little reason for confidence that our military could do anything right. I have seen something where someone quoted some military figure as saying that the west coast was "well defended". That's missing the point -- adequate defenses do not guarantee absence of possibility of a battle. Normandy was quite well defended. There were people saying an invasion of the west coast wouldn't happen. There were people saying we wouldn't win in Vietnam, there were people saying the Gulf War might turn out to be a pushover for us, there were people who figured out who was going to win the super bowl, and there were people who bought Apple stock in 1978. Fine, but it's a big leap to go on from there to saying that our decision makers "knew" what was going to happen and judge them as if they knew for sure -- a leap no historian worth his salt will take. Even the ethnic Japanese community was convinced that there was fear of a Japanese invasion of the west coast. One argument made against resisting the internment was that should a Japanese invasion coincide with such activity, it would appear there was widespread ethnic Japanese complicity in the attack, staining the name of the community beyond redemption. Furthermore, if we "knew" they had no plans to conduct military operations in California, we were wrong. In his well-researched book "Hawaii Under the Rising Sun" John J. Stephan recounts how Admiral Tamon Yamaguchi, commander of the Second Carrier Division, and second to Yamamoto himself, was advocating a crash program of naval and air construction. His plans were to take Hawaii, harass shipping from Anchorage to San Diego with carriers, seize oilfields in California, and he even talked of conducting joint operations in South America with support from the Germans and Italians. Yamaguchi's plans sound farfetched now, but this was the thinking. He was realistic enough to see that vast increases in Japanese military resources were necessary for his schemes. As it turned out, the Japanese military resources were at their peak and about to start shrinking fast. According to the distinguished military historian Ikuhiko Hata, late in 1944 a group of naval officers led by Lieutenant Commander Daiji Yamaoka seriously entertained the prospect of launching a suicide strike in California. Some three-hundred chosen men of the "Yamaoka Parachute Brigade" were to be transported across the Pacific on several mammoth submarines and landed in the vicinity of Santa Barbara. They were then to shoot their way into Los Angeles via Santa Monica, wrecking havoc with the Douglas and Lockheed aircraft factories and taking as many lives as possible before their own annihilation. Training for this operation began in December 1944 but was halted in May 1945 with the selection of a new target, the Mariana Islands. Intelligent arguments can be made that, on paper, the Japanese did not having anything approaching the resources, in terms of naval strength and merchant marine capacity, to take any land at all on the west coast and hold it indefinitely. In fact, among the Japanese officers, it was hotly debated whether the Japanese merchant marine had the capacity to supply Hawaii, let alone support an invasion the the west coast. (We, of course, did not hear about this until the end of the war). The next step is to conclude that since this wasn't feasible, we knew the Japanese weren't going to try it. That second step is seriously flawed, because it assumes the Japanese wouldn't do anything unwise. Starting a war with the US, which had 10 times their industrial capacity at the time, and attacking the British Empire on the same day, was, with hindsight, a spectacular act of national suicide. The Japanese were suffering from delusions of grandeur, and wild miscalculations about the American personality type. So if you say, by this logic, that we "knew" that attacks on California weren't going to happen, then one could use the same logic to "prove" on December 6, 1941, that a Japanese attack on Pearl Harbor wasn't going to happen. People, wasn't the internment ugly enough without having to make stuff up or propagate vicious rumors to make it look worse? By the '80's, political and public opinion was so overwhelmingly against the internment, to the point of labeling anyone who defended it a vindictive racist, that it was political suicide for politicians from most districts to take issue with any claim made by those in favor of the act. And these were the people debating and voting Civil Rights Act of 1988. In this context, the decision for redress was guaranteed, without regard for the facts, for or against. The redress was a good thing, in that it was a tragedy that so much property was lost, and appropriate compensation was long overdue. As for the apology, well, I'm sorry this happened to anybody, fine. As for the statements about this never happening again, I have mixed feelings discussed elsewhere. If I accidentally crash into your car and kill your passenger, decency demands that I be sorry and apologize. It does not demand that I agree with your accusations that I was drunk (when I wasn't), or that I confess to having done it on purpose (murder) when I didn't. The problem with the 1988 act is that many will take this proclamation as solid proof that anything anyone who is against the internment says is right. In this sort of context, myths and exaggerations grow, unchecked. Saying the internment was a deeply regrettable military necessity that turned out, with hindsight, to have been uncalled for is one thing. But I see other web sites saying ridiculous and vicious things that go far beyond that. If the internment continues to get exaggerated into a beastly act far worse than it was, then if the time comes when we consider doing exactly the same thing to somebody else, many may dismiss the parallels or even fail to notice them. The way to prevent the recurrence of undesirable events is not to vilify and exaggerate and condemn them, to the point of excluding balanced debate on the subject, but rather to understand them to the point of understanding how the "villains" involved were thinking, and thus increase the chance that you, should you find yourself in the same position, will thus recognize the parallels and avoid the same pitfalls. One sign of how far from reality the Commission on Wartime Relocation and Internment of Civilians was is their stipulation that there was "no military necessity" for the internment. None? I've furnished tons. "Insufficient" would be within the realm of argument, but, confident they can silence anyone who disagrees with them by smearing them as a racist, they are making strident, ludicrous claims that clearly will not stand the test of time, that beg for revisionism in the future. Anyone has a right to criticize the internment. Justified or not, racist or not, it was an outrageous act, and if nobody wanted to raise hell about it, I would be worried that something was very, very wrong. At this point, what is really on trial is not so much the loyalty of the ethnic Japanese, but rather the integrity of American decision making, and the fairness of our society, and particularly the racial attitudes of whites. Since I identify with America, and am white, I feel accused, though the acts in question took place over a decade before I was born. Since I am accused, I have a right to defend myself, a right to speak. And many others who have that right, who have worthwhile knowledge about all this fall silent, fearing accusations of racism. Most of the debate is thus very one sided -- and like all debates, it will not be very intelligent unless all parties, with views that are popular or otherwise, are permitted to take part. Note that at the time of internment, the US territories of Guam and the Philippines, along with other islands, had been successfully invaded and their people much abused, the attempted invasion of Hawaii at Midway was imminent, and the possible invasion of California was much feared, justifiably or not. So this passage was very much applicable. The constitution does not limit this to race, or more relevantly, recent national ancestry. The writers of the constitution made it clear that they felt that potential the survival of the state required the government to have the power to lock up anyone, including WASP males like themselves, without due process. Tough call, and surprising for such freedom obsessed individuals. Clearly, they probably would not have imagined a substantial Asian population in the country, and the only non-whites in question were "Indians" and slaves, who, for the time being, the constitution was not going to apply to. Thus, they really meant, in an invasion or rebellion, it was OK to lock up people, white people like themselves, without due process. Once the emergency was gone to the point where Japan no longer posed a conceivable threat to the west coast, the courts decided, surprise surprise, that the internment was unconstitutional. But such interpretation, while the constitution itself remains so clear on the matter, is clearly a fair weather guarantee. Back then the hysteria of the day was winning the war. In the '70's it was The Energy Crisis. Now it is fighting racism. 50 years from now it will be something else, who knows, maybe revulsion at the low moral caliber of anyone who would eat meat or fish, especially raw. While right now, it would be politically very difficult to intern anybody for racial reasons, even in imminent fear of invasion (difficult to imagine as that may be). However, it might be politically feasible to lock up large numbers of white supremacists en masse, without due process, especially if they started making good on all their talk of genocide and terrorism. Should we do this? Would we be wise to change the constitution to totally rule out that option? Let's flesh that out a little, give it a little detail: Say a white supremacist group kills everyone in Detroit with biological weapons and says they'll take out a city a day until the government agrees to totally racially segregate the country according to the group's plans, including the separation of interracial couples and special, unspecified separate handling for the children of such couples by the group themselves, and in subsequent days, follows through and their threat, killing everyone in Cincinnati and Houston. The FBI knows this group is all recent Danish immigrants, and all male. Shouldn't the government lock up all recent Danish immigrants who are male before we lose too many more cities and then try to sort out which ones are the bad guys? Unconstitutional? No -- thanks to article I, section 9. While political fashion has changed, the constitution has not. If you feel that what happened to the ethnic Japanese shouldn't happen to anyone, you should campaign to change the constitution. Just whining about racism like everybody else, in a climate where anyone who disagrees with you does so in fear of substantial social and career retaliation, will accomplish little, and for lack of intelligent cross-examination, you will say things that look really lame and dated to distant posterity, just as those who went along with the one sided "yellow peril" hysteria of 1942 look pretty dumb now. Note that I have not researched the legal aspects of the internment beyond this glance at the constitution, I am not sure the suspension of habeas corpus according to article I, section 9 was used in the 1942 internment, in fact, there is reason to believe it was not. The important point is, an action like the 1942 internment is still possible as the constitution stands today. Yup. The constitution still says it can. Having said that, a Nisei who is worried about being interned again is like a Christian who worries that someone is going to feed him to the lions. Militarily, the US is too secure, and Japan too peaceful, for a repeat of the '40's. The friendly relations between Japan and the US today, both the governments and the people, are amazing, given the stark differences in basic cultural values and the nastiness of WWII. And frankly, the Nisei are the last people in the country to have to worry about article I, section 9 of the US constitution. And as for racism, I find it hard to imagine it being less popular that it is today, or more of a zeitgeist, or more of a scapegoat. I would rather go on record in these times denouncing motherhood and apple pie than disagreeing with prevailing dogmas about race. Is the power to intern people necessary for the survival of the US form of government? For the short term, I don't think so at all, but who knows what the future will bring? I think we're better off if the government retains this power, as it has, regardless of whether it was appropriate in the case of the ethnic Japanese. I think that the group mostly likely to be interned would be white supremacists and various right wing militia groups, if terrorism from them increases. They are sufficiently hated and sufficiently likely to do something insane enough to provoke such a response. They are much harder to identify than Japanese Americans (in fact they've already been driven largely underground), and interning such groups, based sheerly on ideology, would be much more of a witch hunt. I find it enormously funny that what we are really talking about here, as far as the future is concerned, is most likely the imprisonment of white supremacists, not of Nisei, and the people who want to talk about the internment, to many of whom the only good racist is a dead racist, and who will not rest until every last iota of racist thought in America has been ferreted out and punished, punished, punished, are in fact probably advocating the civil rights of white supremacists. Some would advocate free speech limitations, like we are not to talk about dual loyalties, especially of racial minorities and such. In the case of the ethnic Japanese in California, this may have helped if judiciously done over a very short period (unfortunately, such limitations tend to become permanent), but usually in these kinds of situations the government cannot be expected to counter popular opinion like that. Had someone proposed limitations on speech about the ethnic Japanese, the local government at the time would have probably said "Great idea! No one is allowed to say anything good about the ethnic Japanese!". Speech restrictions rarely protect the unpopular, in a democracy their are more likely to pander to hysteria, and are more prone to make it impossible for pariahs to defend themselves than to protect them from attack. To undermine the principle of free speech when you have the political power to twist it toward your ends is to kiss free speech goodbye when your political fortunes go sour. Furthermore, a big part of the problem was that the ethnic Japanese on the west coast were not widely known or understood. Perhaps if there had been more scrutiny of this group's attitudes during the much calmer and more rational prewar period, the government might have been more likely to make an assessment of the situation that more accurately reflected their loyalties. For a rundown on how I feel that Speech Limitations Are Against the Interests of Minorities, see this sub page. There are other concerns about limitation freedom of speech. When a government pursues a foreign policy, such as a war, that is unwise or futile, especially if the enemy has a reputation for terrorism, real, faked, or imagined, the government could use this sort of approach to intern and thus silence those critical of its policy, thus putting itself into a position of being free to lead the nation further into collective ruin. Furthermore, faking terrorism is a tactic that governments use as an excuse to curtail civil rights, as in the case with President Marcos in the Philippines established himself as a dictator.in 1972. So the extent to which to allow curtailment of liberties in wartime is a difficult area indeed. This sums up my research on the internment, along with my reflections on what lessons are to be learned from it. Issei: Japanese born, citizens of Japan. Men were usually over 50 years old, their wives were usually picture brides, about 10 years younger. Nisei: American born, American citizens, less than 20% were dual citizens with Japan. Most of the Nisei were children of Japanese nationals, with an unusually large age difference between them and their parents, especially their fathers. One sometimes hears talk of "3rd generation" Nisei, grandchildren of issei, at the time, possibly grandchildren of the very few Japanese who had earned citizenship through military service in WWI. Virtually all were minors, or young adults at the time of the internment. Kibei: American born, American citizens, sent back to Japan for a Japanese education and upbringing. Young adults, most of their upbringing, socialization and memories were from Japan during the extremely militaristic, nationalistic and racist 30's. This was the group most feared by the government. Western Defense Command : Department of the military responsible for the protection of the west coast. This agency had the decisions of how many people to intern, who to intern, from where, and even the extent to which internment was necessary, delegated to it by the president and the War Department. War Relocation Authority: Responsible for the custody and care of relocatees. Managed most of the camps. Internment: strictly speaking, this refers only to a small minority of those incarcerated -- those citizens of alien powers incarcerated in Department of Justice camps because they had been deemed suspicious as individuals, (though you didn't have to be very suspicious to qualify). Internments began immediately after Pearl Harbor, indeed some Germans were interned before the US was at war with Germany." The term has been widely misused to refer to any civilian Japanese incarcerated during the war. This site conforms to this popular misuse. Relocation : The action by which many individuals on the west coast were rounded up and shipped to camps away inland. This group was kept in camps separate from those interned. Also referred to as "evacuation". Internment Camp : Operated by the DOJ for people who were interned, not relocated. Assembly Center : Makeshift camps, sometimes with poor conditions operated by the Army to house the relocatees the first few months while the relocation camps were finished. Relocation Camp : Camps away from the coast where relocatees (not internees) spent part of the war. (Note this does not include many internees, individually suspected enemy aliens, who weren't handled by the WRA but were kept in higher security camps by a different authority, the Department of Justice). (Note, later in the war, [March 1943] all residents were free to leave, though many stalled). Dual Citizens : less than 20% of the American born. (Most if not all were allowed to recover their citizenship years later). American citizens of at least partial German descent : guessing at least 40% of US citizens : greater than 52,000,000.